Hashtags on Instagram are one of the main methods for promotion of your account. If nobody knows about your account at the moment, then the only way is to tell about yourself to other Instagram users is making new posts and leaving relevant (those describing the topic of your post) hashtags under these posts. We’ve collected the most used hashtags on Instagram, but we should warn you that in 2018 they won’t bring you high quality subscribers – those who will follow you by these hashtags will probably be only internet shops and promotion consultants. Nice followers who are involved and participate will bring new likes to your new pictures. Thus, instead of looking for ‘Instagram hashtags for likes’, it’s better to find how to use right hashtags on Instagram. Sometimes, on the contrary, people completely ignore Hashtags in Instagram. too lazy to pick the right Hashtags (and the most popular Hashtags in Instagrams do not work). But believe me, if you learn how to correctly put Hashtags, you will receive FREE new target subscribers from each post. Even for massfollowing (the way to type live subscribers), you need to be able to choose the right list of hashtags. In this article, we'll tell you how to do this, and on the sweet at the very end - three proven schemes for attracting subscribers via Hashtags. Relevant Hashtags - these are those that fit in the sense of your post. Where can I get them? The main search option for Hashtags in Instagram. Do not be lazy and see what Hashtags offers Instagram itself when searching for your hashtag (above all the photos in the issue). A maximum of 30 Hashtags under one post (In 2018 it is rumored to use 5-10 to avoid getting into a shadow ban). Change the Hashtags under each new post, otherwise, too - a shadow ban. Photos in the Hashtags search are sorted by the publication time of the post, and not by the time when you added the hashtags. 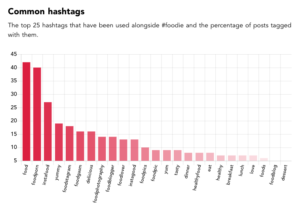 This is especially important if you use high-frequency (popular) hashtags. If you did not immediately put them at the publication, then it's no use, because 700-1000 new posts a minute appear on them and your photo is already far below in the issue. If you put Hashtags in comments in someone else's account - then someone else's photo does not fall into the search for this hashtag. Innovation in 2018 - Heshtegi in the comments even under their posts also do not work. It is necessary to put Heshtegi in the post itself, and not foul in the first comment. Do not put Hashtags from the "black list". This list is updated periodically, but in general they are tags from the themes: violence, mate, insults, fatsheyming (insults on the basis of excess weight). 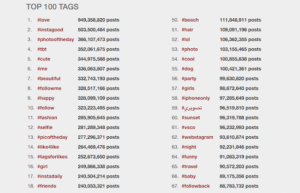 Sometimes in this list of forbidden Hashtags get the most popular and therefore spammed tags like "love". Do not label Hashtags with solid photos. Girls can afford it in swimsuits, but not business accounts. Explain your photo with text, otherwise the post looks like spam. Even if you are a photoblogger, you can write where and when the photo was taken. Do not insert Hashtags in the post text, put them below, under the text. To read the text in which there is Hashtags is unpleasant. Do not publish posts without Hashtag! As a rule, selecting Hashtags is a separate work. And make her lazy. But then be prepared for the fact that no one will see your post except subscribers and you will lose potential customers. Do not get additional likes and new subscribers. Do not make too long Hashtags - the eye simply can not perceive such long words.